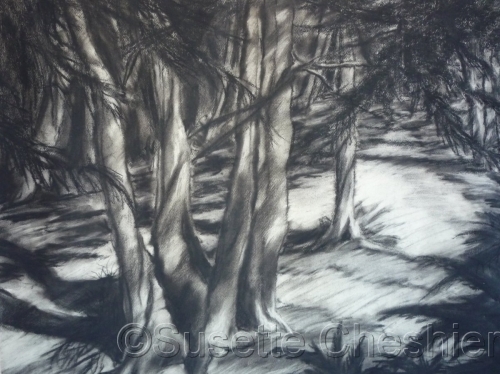 Dark charcoal drawing of tree shadows on a park lane. Strong light and dark contrasts of shadow. 5" x 6.75"7" x 9.25"9" x 12"11" x 14.75"13" x 17.25"14.75" x 19.5"